Original Vintage Six Sheet (81x81"). 1915 - Amazing UNUSED Original SIX Sheet. The high quality of paper has allowed this historical piece to survive 90 years and still in incredible condition. This poster is so large (81"x81") that we took the image in section which is why is looks misaligned. The poster is in six sections. Great artwork of the stars and the four modes of transportation of 1915 in each corner. 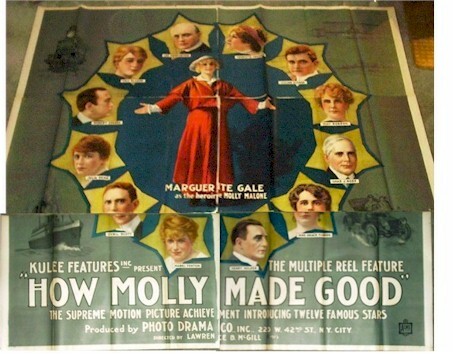 The is the earliest movie poster we have acquired in over 20 years of collecting.